for SATB double choir unaccompanied This celebratory anthem for double choir is set to the words of the Roman lyric poet Horace. 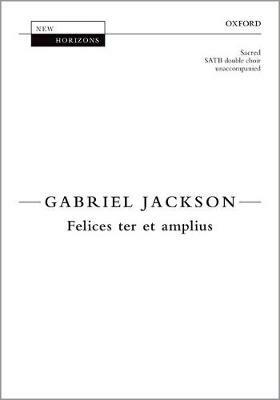 Jackson combines declamatory unison passages for full choir with more lyrical polyphonic phrases shared between the voices, which are sometimes accompanied by repeated figures in free time. A powerful and joyous piece.